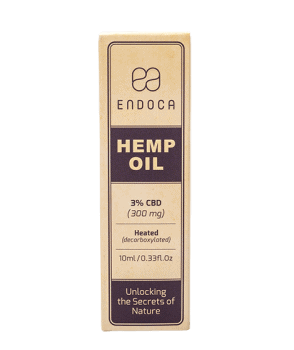 Endoca CBD Hemp Oil Drops are concentrated, ultra-pure, and premium quality. 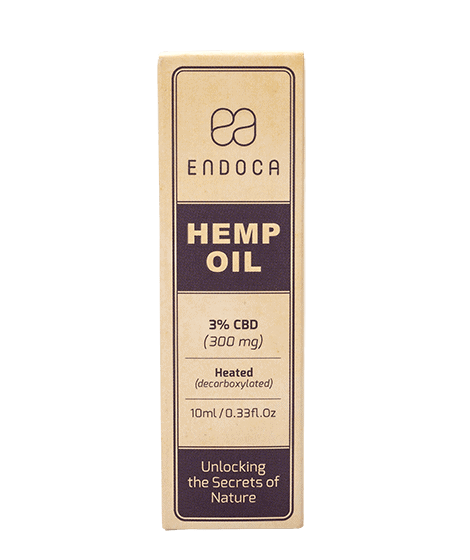 If you are looking for a powerful and easy to use CBD tincture, Endoca Hemp Drops are a great way to get the CBD you need. 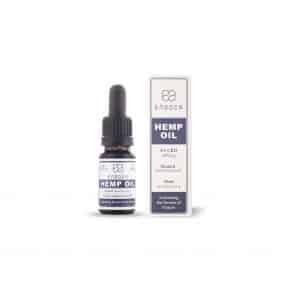 1 bottle (10ml) containing 300mg of CBD Oil. Following suggested serving size there are about 20 servings per bottle. If taken twice daily as recommended this product will last you 10 days. If you wish to have 30 days worth of product you should purchase at least 3 bottles now or alternatively just purchase the larger 1500mg bottle. Containing over 80 different phyto cannabinoids, including CBD, CBC, CBG, and CBN, the oil is rich in naturally occurring terpenes, the most common of which are Myrcene, Limonene, Alpha & Beta -pinene, Linalool, B-caryophyllene, Caryophyllene oxide, Humulene, Nerolidol og and Phytol. In addition, other natural molecules found in the oil include Alkanes, Nitrogenous compounds, Amino acids, Sugars, Aldehydes, Ketones, Flavanoids, Glycosides, Vitamins, Pigments and Water. 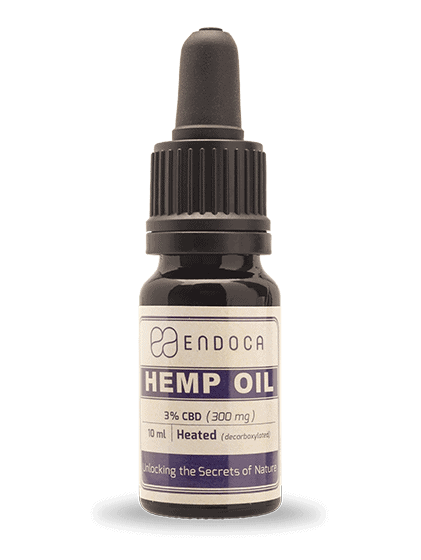 Endoca Hemp Oil Drops taste great, act quickly and are easy to use. Endoca recommends placing up to 15 drops under the tongue, hold for 60 to 90 seconds, and then swallow to feel the desired effects. 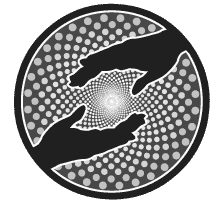 Since CBD has no side effects and you cannot overdose with it, you can safely experiment with your dosage in order to find the perfect amount of CBD your body needs. Some people have faster metabolisms, so it might be useful to try out different portions in order to find the right one for you. Hemp derived cannabidiol oil, hemp seed oil, traces of other phyto cannabinoids (CBD, CBC, CBG, CBN), terpenes (Myrcene, Limonene, Alpha & Beta -pinene, Linalool, B-caryophyllene, Caryophyllene oxide, Humulene, Nerolidol og Phytol), Alkanes, Nitrogenous compounds, Amino acids, Sugars, Aldehydes, Alcohols, Ketones, Flavanoids, Glycosides, Water.